IKEA is coming to Alicante! So says an post dated 18th November 2014. Thanks by the way to Geert for letting us know about this. IKEA will open its doors in 2015, so the report says and will sell all the IKEA products as IKEA Murcia and other stores do. The City Council presented to the Territorial Economics Strategic Performance (ATE) Council with details of the project which we believe, includes a shopping center off the AP7 motorway near the Alicante University. The Superior Court of Justice of the Valencian Community (TSJ) overturned last May, approval of the partial plan of Las Lagunas de Rabassa, which was originally approved by the Department of Environment and Planning, and also rescinded the agreement of the municipal council of Alicante to award the plan to Social Housing Mediterranean S.L., which is owned by Enrique Ortiz, currently accused in the Brugal case. After the judicial setback for lack of relevant technical reports and various irregularities in the processing of documents, the project was put on hold. The main objective of the City of Alicante was then to save the whole IKEA Alicante project, and ensure that they continueed with plans for the IKEA Alicante store in the city. 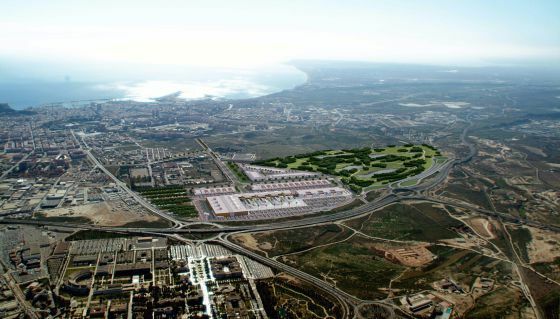 The assumption is that IKEA Alicante will generate jobs and increasing number of visitors and therefore impact upon the economic well-being of the city. The council had offered IKEA other locations, but officials have now confirmed that the IKEA store will be located Rabassa. This area has easy connections to the motorway between Murcia and Valencia. Against this background, the quickest and most viable alternative was to launch a Regional Strategic Action (ATE) that (in theory) “substantially reduces the time for planning consent and ensures the viability of the project,” explained yesterday head of Town Planning, Marta Garcia-Romeu. The Ministry of Economy in the coming weeks will prepare a report on the economic impact that the new IKEA Alicante store will have in the province of Alicante. The project will then be supervised by the Ministry of Planning to incorporate the reports of environmental impact , sustainability and access. “It’s much faster than a partial plan and we have all the legal guarantees for their development ,” said the mayor. It is hoped the Strategic Territorial Actions will simplify administrative procedures and reduce the time and red tape, unify the environmental, territorial and landscape processes and facilitate communication between developers and administration. The City Mayor estimates that the administrative procedures between the various ministries will be completed during 2014, and planning permission to start work will be granted in early 2015. The planned area of the mall is 300,000 square meters, plus another 120,000 square meters for commercial and industrial building. There is also another 140,000 and 820,000 square meters available for other project in Rabassa. Alicante Avanza S.L., is to be the promoter controlling more than ten other companies in the overall project, including Civic (Ortiz) and Bankia. No dwelling properties are envisaged. Once the statement of the Consell, the promoter, the report of the Ministry of Territory has been finalised, the documentation will be subject to public consultation for a minimum period of 45 days, which ensures it meets state and EU legislation. “At last we have succeeded, and now have to work for IKEA Alicante to arrive soon,” concluded Garcia Romeu. Need more information on easy flatpax and what we can do for you? Either contact us via the contact form on the right, call us on 96 647 0770 (from the UK 0843 207 5139 (calls cost just 10p per minute) or email us at sales@easyflatpax.com.